If you enjoy the science fiction element in your video game titles then get ready for the upcoming year. We have already compiled a list of some of the most anticipated sci-fi related video game titles launching in 2019. You’ll also want to check back often as we will continue to update this list throughout the year and into 2019 when more video games are announced along with new details. Anthem is an upcoming video game being developed under BioWare. The development studio is well-known for delivering in-depth RPG video game titles and their latest seems to follow suit of their past video game franchise, Mass Effect. 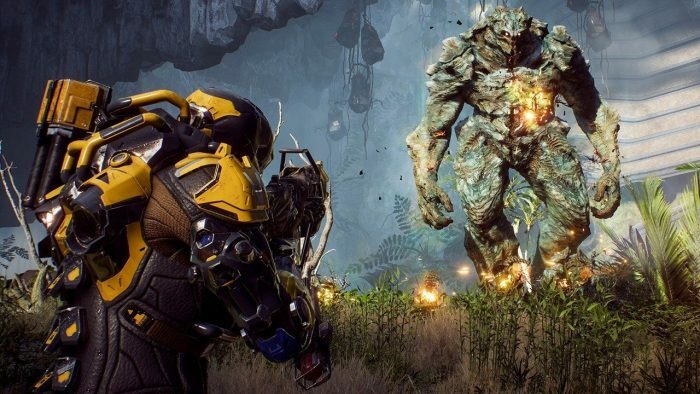 Within Anthem, players will be sent to a different world that is being charted out. Most of the humanity within the world are kept safe behind giant walls. You take on the role of a Freelancer, a specialist that is capable of going beyond the wall in order to explore and progress work that is needed to be done. However, in order to do so, players will have to equip a specialized suit known as a Javelin. These suits will allow players to easily traverse the lands and deal with any hostilities that may come their way. The fifth main installment to the Gears of War franchise is slated to launch within the 2019 year. Within the game, players will be stepping into the role of Kait Diaz, a COG army member that has been dealing with haunting dreams. It’s within these dreams that Kait feels that she can follow a new journey, one that will reveal the true origins of the Locust. While we’re still waiting for more fleshed out details regarding the upcoming video game, it seems that the same gameplay mechanics that the franchise is known for will make a return in this upcoming installment. At the heart of the game, this is still a cover-based shooter with likely cooperative gameplay throughout. Respawn Entertainment, the development team who has brought out the Titanfall franchise, has been working on a secret Star Wars project. 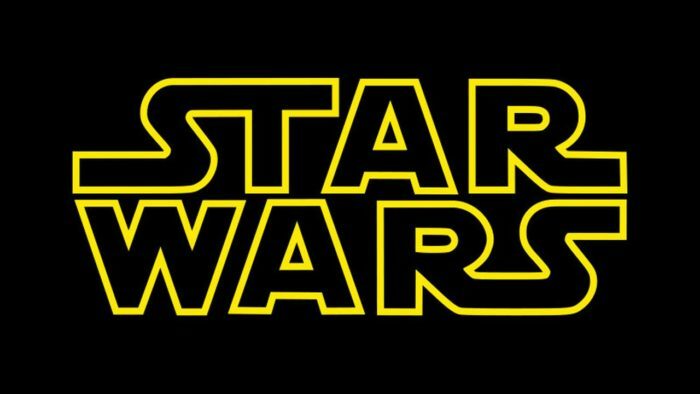 For quite some time now, we’ve known that the developers were working on a Star Wars related video game, but no details regarding the title were released. That all changed during EA’s E3 2018 press conference, where we got a few very small details regarding this upcoming title. Apparently, the video game is called Jedi: Fallen Order, which is a single-player video game narrative journey. Within the game, players will be taking on the role of a padawan that managed to survive after Star Wars: Episode III – Revenge of the Sith. Set during the dark ages, players will attempt to survive in a world where the Jedi is outnumbered and quickly being hunted down. Since the release of Crackdown 2 in 2010, we’ve been waiting for a brand new installment to the franchise. The Crackdown 3 video game announcement came in 2014 and it has since been in development under Ruffian Games. Now the video game is gearing up for a launch in 2019 where players will once again step into the role of an agent. The Agency has dealt with the last terrorist organization a number of years ago but now a new terrorist threat has emerged. This new terrorist group had managed to kill power across the entire world forcing The Agency to deal with this new threat. We can still expect the overall same gameplay mechanics from the past installments but there is a heavy emphasis on destruction. Developers have created a game in which entire structures can be brought down during combat which we imagine will make for some very action-packed moments. Starfield is a brand new IP RPG title from the development team at Bethesda. The development studio may be known more for their line of Fallout and The Elder Scroll titles but unfortunately, the team has yet to make any real reveals. Outside of its official announcement of an RPG title set in space during their press conference event at E3 2018, we don’t have much more to go off on. The title is supposedly developed for next-generation consoles and will release before The Elder Scrolls VI. For now, we’ll have to wait and see if any new information is released during this year’s E3 expo. From the development team that has brought out the Max Payne franchise along with the IP Alan Wake comes their next big release, Control. The game acts much like their other line of video game titles as players will be going through the game as a third-person shooter. From what we know so far about the game, Remedy Entertainment is telling a story of a woman named Jesse Faden. Jesse was granted unexplained supernatural powers after a childhood traumatic experience and it’s her goal to finally get some questions answered about her past. Joining up with The Oldest House, a Federal Bureau headquarters that study supernatural phenomena, Jesse ends up with more than she bargained for. A new otherworldly force has invaded The Oldest House leaving Jesse to fight back using any means necessary and perhaps at the end of it all, some of her questions may finally get answered. Doom was a massive hit originally and the franchise recently had a resurgence thanks to the 2016 reboot. Players once again stepped into the role of Doom Guy as he completely demolished the demonic threat that came his way. This new installment slated to launch in 2019 where players will be taking on the role of Doom Guy as he embarks back down to Earth and fights off a new alien invasion. It looks like all of the game mechanics and over-the-top action is back with this new installment along with a few additional features. For instance, players should be able to see the enemy decay depending on the attack damage delivered. Only a brief gameplay footage has been released since the game was officially announced, though we expect more information will be released during this year’s E3 expo. Cyberpunk 2077 is the next big title release from developers CD Projekt who you may be familiar with for The Witcher series. The video game is set in the future where it seems that most of the humanity has fallen on hard times after big corporations and companies took control of modern life. Likewise, there seems to be an emphasis on augmentations for humans which will help them in various tasks. We expect some similarities in regards to the Deux Ex franchise but we’re still waiting for more information to be released on that front. We’re also interested in seeing just how well CD Projekt delivers after their success with The Witcher series, especially since the upcoming title doesn’t already have source material for the developers to go off from. So far gameplay shows a drastically different world than what gamers were presented in The Witcher series. Players will be introduced to a futuristic world full of androids and tech that allows big corporations society to thrive. Obsidian Entertainment is a well-known and beloved video game development studio after they have released countless iconic RPG titles. For instance, the developers were responsible for Fallout: New Vegas and during The Game Awards 2018 came the announcement of The Outer Worlds. This is a brand new experience which resembles a bit like their past Fallout: New Vegas work. Within the game players will be embarking on an adventure set in the distant future where mankind has colonized space. So far we know that players will be investigating megacorporations to find just how strong of a hold they have on life and the colonized worlds. Just like with past RPG titles developed under Obsidian Entertainment, the gameplay narrative will present players with multiple answers and options. Depending on the options selected may result in various branching storylines. Unfortunately, we don’t have to many details regarding the game narrative and gameplay mechanics. However, as mentioned, this is an RPG adventure so players can still expect to see various customization options and a massive world to explore. Development studio, Deck13, has been around since 2002 with some of their latest titles being 2014’s Lords of the Fallen and 2017’s The Surge. The latter of the two will be seeing a sequel sometime in 2019 with publishers Focus Home Interactive. The Surge was a science fiction action RPG which takes place in the future where humanity has used up the various world resources. As a result, humanity becomes strained with most seeking use of technological advances to maintain their daily lives. Mimicking the Souls series, The Surge franchise is aimed to be a difficult RPG with players encouraged to upgrade their exoskeleton suit for battles. So far, we know that this upcoming sequel will take place in a brand new city environment with larger level designs and a tweaked combat mechanic to offer more tactical strategy. Despite there being few details released so far for this upcoming sequel, the gameplay footage so far unveiled does put players into the outskirts of a city. Players will be battling a wide range of augmented enemies and robotic hostilities disguised within the forests. In Biomutant, players take the role of a raccoon-like creature that must save the world. With a poisonous oil springing up from the ground, most the world is quickly infected and dying off. This also has spread to the Tree of Life, a giant tree that brings life to the whole world. Players must go to each of the six roots of the Tree of Life and stop the oil and defeat each boss. Furthermore, the game will be tossing players a number of decisions that will affect the overall narrative storyline. Likewise, the choices you make will ultimately alter the world itself. Developers have stated that the entire world is open for players to explore with only sections blocked, forcing players to progress the narrative in order to gather the items required to access past unreachable areas. Regardless, this appears to be a thrilling science fiction based video game with the world filled with unique creatures and high tech gadgetry. If you enjoyed Rebel Galaxy then you’ll want to take note of Rebel Galaxy Outlaw which is coming out in 2019. So far the details are a bit scarce but we do know that the game will take place about thirty years prior to the events of the first game where players will take on the role as Juno Markev. Juno is a smuggler that ends up in debit with a casino in order to gain a ship so as a result we can expect the ship combat aspect to the game will still be a major component to the video game. However, it seems that the development team is looking to deliver a stronger narrative journey for players to uncover as they progress. Overall, the developers are taking all the aspects that made Rebel Galaxy work and further enhancing them in this upcoming prequel. Another key aspect to the previous installment to this game series is trading, pirating and bounty hunting. We’re sure that this will carry over into this upcoming installment but we’re still waiting for more details on the game to release. Hellpoint is a science fiction action RPG. Set in the distant future, mankind no longer fights in brutal wars for resources. Instead, precious resources have become unlimited thanks to interstellar space travel. However, one day a quantum cataclysm occurred which tore a hole through several universe parallels blending most of humanity into mindless creatures. This action RPG also features unique level designs and a real time clock which will creature dynamic events at certain locations. As mentioned earlier, this game is a science fiction title. The game should feel as if it’s constantly evolving making it a unique journey as you explore your surroundings and attempt to make sense of this newly found madness. Likewise, with the game set in a space station, you’ll likely find yourself roaming the corridors in hope that you don’t end up getting stuck between unknown entities. We really can’t go into too much detail about Halo: Infinite as there hasn’t been really any information released so far about the game. This will be the next major installment to the Halo franchise which will continue the story for Master Chief. A small teaser was released during E3 2018 and since then the development team over at 343 Industries have yet to give any information regarding just what gamers can expect. Instead, players should prepare for more Master Chief and perhaps another encounter against Cortana but that’s purely speculative.. This has always been a popular science fiction video game franchise since it first released. Players will likely embark to new planets, fight alien species, and as mentioned, there could potentially be the return of Cortana, an artificial intelligence bot that was the main antagonist focus in the fifth installment. Details about the game are slim at the moment but once we have new official information to share we will go ahead and update this post so stay tuned for future updates.